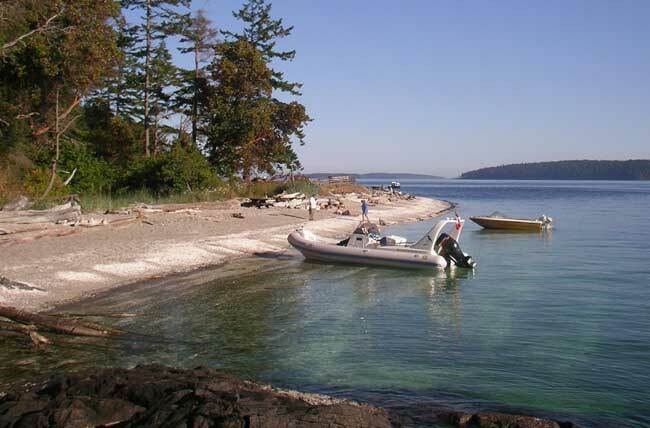 Private Custom Boat Charters from Victoria and other departure points on Vancouver Island and the Gulf Islands are a wonderful way to fully experience those "memories moments" with your friends and family. Set your own course. Plan your own day. Boat, Captain and crew are yours to command. Explore your own adventure. Privacy aside we are also not limited by time, or range in the same manner as a publicly scheduled tour which we offer here. Birds of a Feather Marine Ecotours based in Victoria, Vancouver Island, BC has the only Zodiac Medline III in Canada. 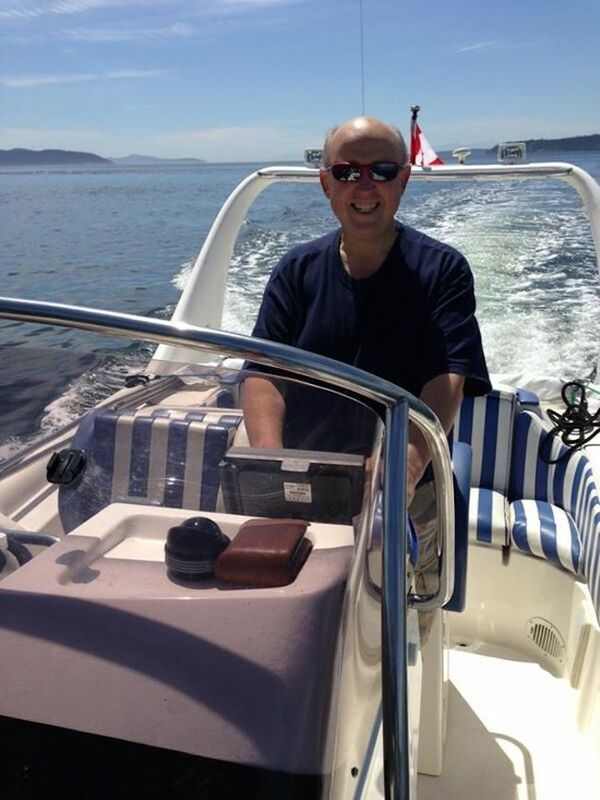 A fully-equipped and crewed luxury offshore rib available for hire on the west coast of British Columbia including the Gulf and San Juan Islands. Looking for an alternative to schedules and crowds, or just want to do something different? Tell us what you like; boat and crew are yours to make it so. Want to experience our backyard like a local? Ask for the Captain’s Tour - a full day "hang out with us friends and family" experience with the locals. Private custom boat charters we’ve done include: whale & wildlife watching, island cruising, exploring Gulf Island wineries, markets, and coastlines, historic lighthouses, sighseeing, island wedding guest cruises and shuttle, island picnics, private functions, Saturna Island Lamb roast, Symphony Splash, nature, wildlife & swiftsure photography, filming documentaries, scattering loved ones ashes, on location science & research boat, excursions to Race Rocks Marine Park, day on the lake, shuttling and escorting Alex Thomson, crew, media and Hugo Boss executives to and from the HUGO BOSS while it was sailing. We are mobile with trailer to just about anywhere you need us in BC. Only you and your guests will be on board to sail on your schedule. Individual seating with back support for 6 passengers provides optimum comfort. Designed and built in France the Medline III is actually approved for 8 persons for the open ocean in the "Offshore Design Category B" of the ERCD, and 15 passengers for at sea but close to shore in the "Inshore Design Category C"
A marine toilet in the privacy of the helm cabin and 2 fuel tanks totalling 345 litres give us a long-range cruising capacity to offer any type of excursion from 4 to 8 hour day trips to multiple days with on-shore overnight accommodations. Unlike the public whale-watching zodiacs the Medline III is built for comfort. You can move around and are not restricted to staying in one spot for the entire trip. Lunches and snacks can be part of the package or you can bring your own. There is an ice box, gas burner and even a kitchen sink with running water. Just about everyone who visits Victoria gets out on the water, one way or another. In fact, since we’re located on the south end of Vancouver Island, if you don’t fly in, you get here by water: either the BC Ferries’ routes from Vancouver and the Lower Mainland, or from the USA by either the Coho ferry (from Port Angeles) or the Anacortes Ferry from Seattle via the San Juan Islands. Here is a sampling of some of our most popular excursions. 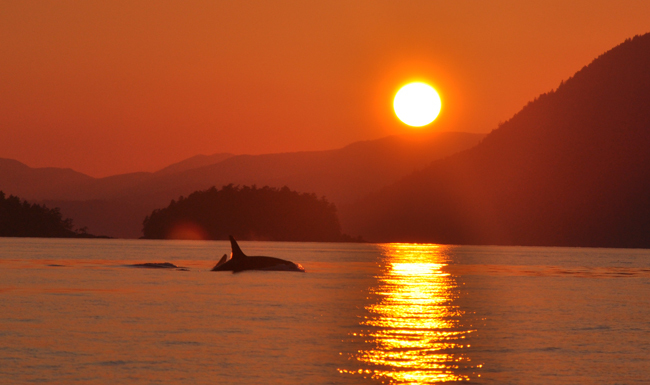 Southern Vancouver Island has an abundance of marine wildlife. While the commercial whale-watching outfits have perhaps ensured we are best known for our resident and transient Orca Killer Whales there is so much more to be seen. Humpback, Gray and Minke whales also frequent the Strait of Juan de Fuca and Haro Straight. Race Rocks Ecological Reserve/ Marine Protected Area is abundant with pelagic birds and from September through March with Sea Lions. Marine eco tours can include whale and bird watching, wildlife observation along shores, lagoons and in many of our west coast harbours. Day trips can include visiting Salt Spring Island for arts and crafts, exploring other Gulf Islands and the San Juan Islands, a run over to Vancouver, up Howe Sound to Squamish, or to the sunshine coast from Gibsons to Seschelt. 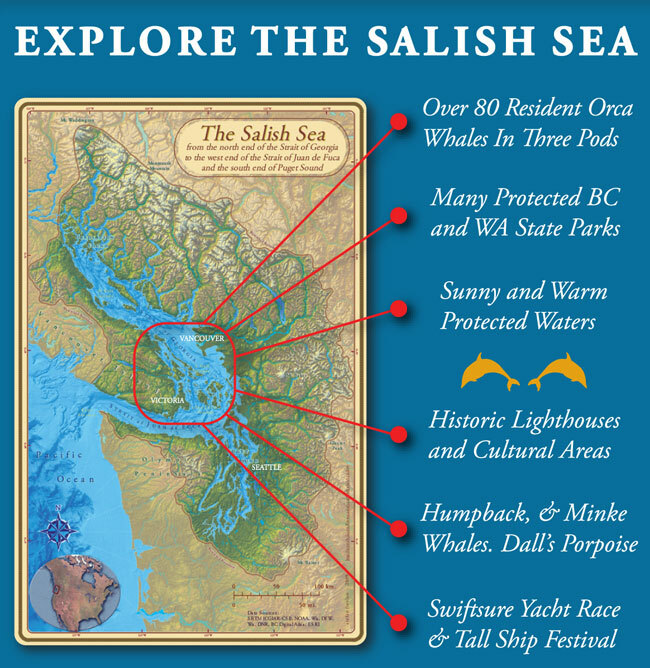 Explore the Fraser River or swim in warm ocean currents. We can drop you off / pick you up from the Juan de Fuca Marine Trail, or the West Coast Trail (if you have paid the Parks Canada fee), or to any number of island camping spots. Overnight trips to anywhere between here and the Queen Charlottes can also be packaged with on-shore overnight accommodation. For northern Vancouver Island charters we can easily trailer the Zodiac to the apropriate launch site if you prefer to start your trip from somewhere other than Victoria. We can arrange an exclusive custom boating excursion for whatever you wish to do. Before the trans-canada railroad was built in 1885, the only way to access western Canada was by ship. Hundreds of shipwrecks off Vancouver Island’s west coast are a testament to the martime traffic and dangers of those days. Some 27 staffed Lighthouses and another 18 auotmated lighthouses - 2 more at Albert Head and Triangle Island have been removed - dot British Columbia’s west coast. The oldest amongst them is Fisgard Lighthouse marking the entrance to Esquimalt Harbour, literally in the "back yard" of Birds of a Feather B&B. While Fisgard is easily reached by land - yet presents entirely fifferent from sea - the same is not true for most of the other 9 or so lighthouses and beacons near Victoria, or the remaining 38 further up the coast. These are best accessed and viewed by boat. A day trip from Victoria can easily include the lighthouses at Sheringham Point in Sooke, Race Rocks (2nd oldest lighthouse) in Metchosin, Trial Island and Discovery island in Victoria, the Gulf Island of Saturna, and Active Pass. Multi-day trips can also be arranged to view any number of the other 38 lighhouses further up the coast. A rambunctious youngster is causing waves among whale watchers around Juan de Fuca Strait. The first new calf of the season for the endangered southern resident killer whales is racing around with other members of L Pod, said Ken Balcomb, executive director of the Center for Whale Research in Friday Harbor, Washington. Flex, an endangered western Pacific grey whale who has astounded researchers by leaving Russia and speeding across the Bering Sea, could be in northern Vancouver Island waters by the weekend.